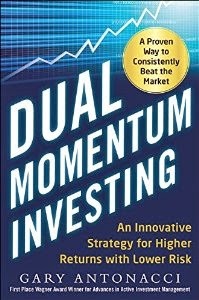 There is a new research paper out by Wes Gray and Jack Vogel that is interesting not only to momentum investors but to all investors and researchers. The paper is "Using Maximum Drawdown to Capture Tail Risk." In it, Wes and Jack show that academic anomalies, identified by linear factor models (alpha), are often not great trading strategies. Wes and Jack select eleven long/short anomalies from academic literature and show that a number of them, despite positive alphas and attractive Sharpe ratios, show very large drawdowns that would likely trigger margin calls and investor withdrawals at inopportune times. Six of the eleven strategies have drawdowns exceeding 50%, the three worst being 86.1%, 84.7%, and 83.5%. 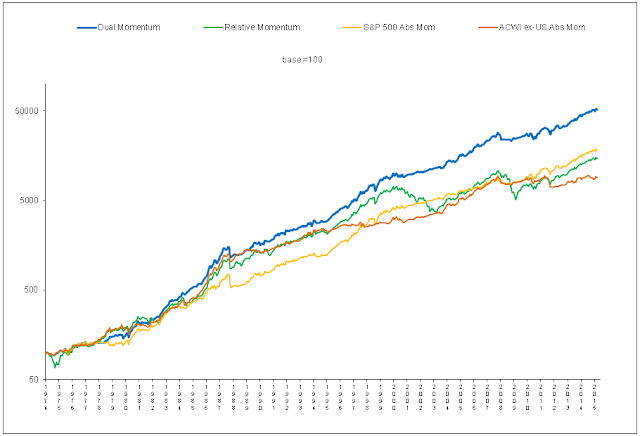 (Long/short stock momentum is the one with an 86% drawdown.). Some researchers look at the Sortino ratio, which divides excess return by downside rather than total variability like the Sharpe ratio. Incorporating upside variability may be useful though, especially when evaluating investment opportunities with similar downside volatility. Neither the Sharpe nor the Sortino ratio considers the full extent of downside exposure in the extreme left tail of a distribution..
Wes and Jack say it is important for researchers and investors to consider this tail risk. They suggest looking at the maximum peak-to-valley loss (drawdown) associated with a time series as a relatively easy way to do this. They have an explanatory video on their Turnkey Analyst blog, along with the Excel VBA macro code and a spreadsheet for calculating maximum drawdown. Of course, maximum drawdown is not perfect as a risk measure. It is not amenable to traditional statistical analysis, such as confidence intervals. (But given the stochastic nature of financial markets, traditional statistical analysis may not be so accurate anyway.) Maximum drawdown is also time dependent – the longer a track record, the more likely that maximum drawdown will increase. 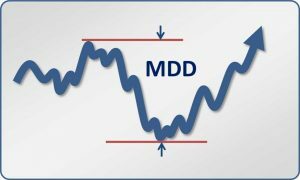 Drawdown frequency, as well as magnitude, is also important. Furthermore, maximum drawdown shows only a single past event that may be a chance occurrence and not representative of what the future may bring. Wes and Jack have done a service in showing how the usual ways of evaluating investment opportunities, such as alpha and Sharpe ratios, can be seriously lacking. Neither alpha, nor standard deviation, nor maximum drawdown, represent a complete measure of investment risk. Maximum drawdown is good in that it gives some indication of extreme tail risk. However, I also look more broadly at strategy drawdown versus benchmarks drawdown under a variety of adverse conditions. I examine interquartile ranges and extreme outliers using box plots of the data. You can see all four of these methods at work in my dual momentum paper. I hope other researchers catch on soon and start presenting more than just Sharpe ratio or alpha as their objective function. These often mean little on their own in terms of true risk exposure. Tail risk is important to investors, and it should also matter to researchers.